"SOWEGA Building 2 Adel, GA" by George Lansing Taylor Jr.
SOWEGA Building 2 Adel GA was photographed on August 13, 2011. 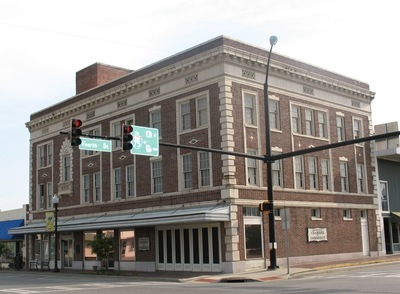 Another historic building, located in Adel, is the Jim Paulk-SOWEGA Building, owned by the Adel-Cook County Chamber of Commerce. The building was constructed in 1930 and originally the home office of Southwest Georgia Melon Growers Association (SOWEGA), which started in 1920 as the only cooperative association for marketing watermelons in the world.